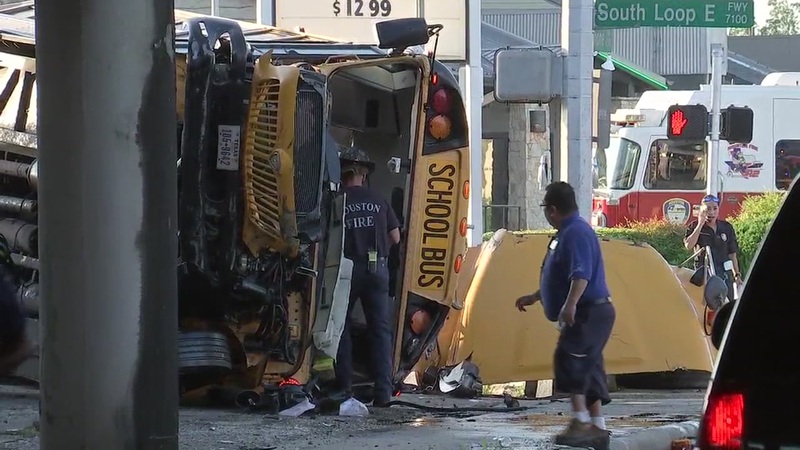 HOUSTON (WPVI) -- Two high school students were killed and two other students and their driver seriously injured after a school bus crashed in Houston, Texas. 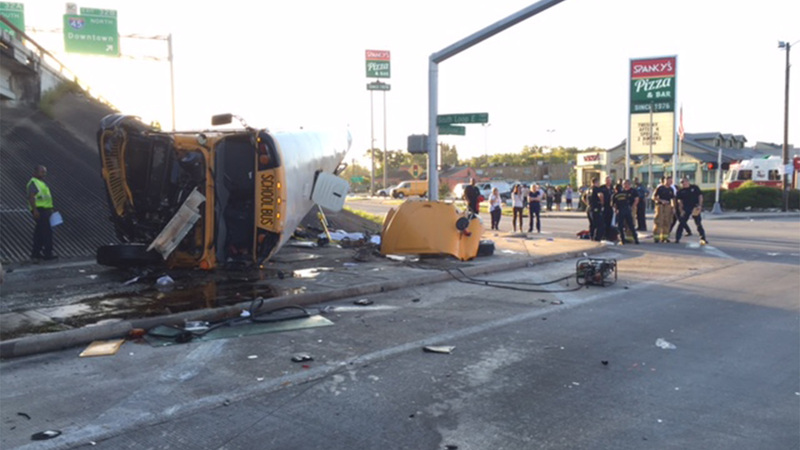 School officials say the bus was bound for Furr High School in Houston. Police say it was forced off the road after being struck by another vehicle. There were four students on board, including two females who did not survive. The other two male students and the driver were seriously injured. They were taken to area hospitals. Their conditions have not been released. None of the victims have been publicly identified. A Houston police spokesperson says a driver in a late model Buick LaSabre was traveling on the left side of the bus when the driver believed another vehicle was entering her lane. The driver swerved, striking the driver's side portion of the school bus. The bus driver overcorrected, flipping the bus over the guardrail, landing on Telephone Road below. The driver of the Buick has been detained for questioning, but has not been charged at this time. The westbound lanes of the freeway remain shut down as police investigate the accident. There is heavy damage to the guardrail on the portion of the freeway that goes over Telephone Road. There is no timetable for when the freeway may reopen. "We are deeply saddened by this tragedy and the loss of one of our students," said HISD Superintendent Terry Grier. "I ask all of the HISD community to join me in praying for all of those involved." "Just hoping one of my friends wasn't in that accident," said Shane Broussard, a senior at Furr HS. "A lot of students rely on school buses. I'm sure a lot of students do not want to take the school bus home today. I'm sure they're scared. I would be too if I took the bus home." The accident is under investigation by Houston ISD police and Houston police, but witnesses tell Eyewitness News the bus came flying off the overpass. "I was coming up Telephone Road on my way from work and I hadn't got quite to the red light and I seen the bus come off the freeway," said Anthony Martin. "The bus (came) off the freeway nose down at more than 50 miles an hour. It sounded like somebody just hit a brick wall."